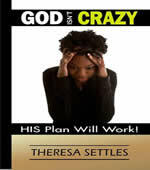 Apostle Theresa Settles has a tremendous passion for God’s word coupled with a love for God’s people. In 1982 she received Jesus as Lord and Savior. Apostle Settles has a contagious spirit of generosity that surges through every facet of her ministry gifting. In 2009, after receiving a mandate from God, she obediently fulfill the offices of Apostle and Pastor while doing the work of an international missionary. 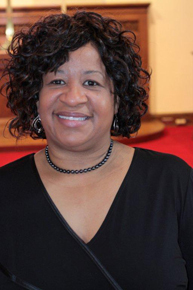 Apostle Settles is the founder and president of Theresa Settles Ministries, Inc., (TSM). Armed with God’s mission to reach, edify and deliver the people of God through the power of His Word, TSM was birthed to advance the Kingdom of God by preaching the Gospel, helping the hurting, aiding the poor, empowering the believer and strengthening the local church. It is the expressed intent that TSM interacts with those in need in a most personal way, challenging them to experience spiritual growth and thereby empower themselves to become successful in every area of their lives. 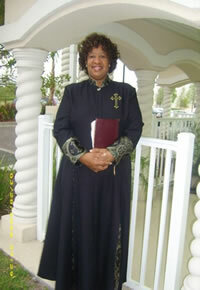 Also, in 2011 Apostle Settles found Transforming Life Christian Center (TLCC) where she is senior pastor. Apostle Settles is a resident of Yeadon, Pennsylvania. She is a widow with three adult children, four grandchildren and two great grand-children. She serves as mentor and spiritual mother to many. Apostle Settles travels the world by the leading of the Holy Spirit to spread the gospel and the love of Jesus. She has traveled to Europe, Asia, Africa, South America, Central America, and throughout North America for the glory of God. She works with pastors and leaders to strengthen local churches around the world. Her ministry is committed to helping orphans and underprivileged children in developing countries. TSM has established a partnership with Global Learning Center of Uganda, a vocational school for orphans and disadvantaged children and supply hot meals for disadvantaged children in Kampala, Uganda. TSM is in partnership with Faith Evangelical Church in Rwanda to support a nursery school for orphans and underprivileged children. TSM is in partnership with Christian Haitian Outreach, Inc. to support orphans in Haiti. TSM has also established a partnership with Abundant Life Christian Center of Liberia, West Africa to provide spiritual guidance, empower women, and to evangelize in the Republic of Liberia, West Africa. 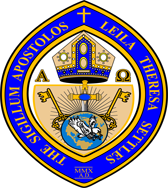 Apostle Settles holds a Bachelor of Science degree from Saint Joseph University, in Information Systems and Business Management. She also has a Master’s of Science degree from the University of Pennsylvania - Graduate School of Arts in Organizational Dynamics. In 1998, she graduated as valedictorian from the Arnaz Ministries Bible Institute. In 1991 she graduated from the Urban League of Philadelphia Leadership Institution for Community Service. She has currently obtained a Doctorate of Ministry from Freedom Bible College and Seminary, as of the year 2012.